Our community website was developed by Hampton Woods Condominium, Inc. to serve as an informative resource for both our neighborhood and our local community. Please feel free to contact us with your comments and/or suggestions. Several concrete replacements throughout the property will begin Monday, April 1, 2019 (weather permitting), starting with Highland and Dogwood Lanes. Notices will be posted by the contractor, J Allen, beforehand. Please see the April statement mailing for additional information. Did you know you can check the City of Akron's news updates online? For the latest news, please visit the City of Akron's website and go to Residents > Information > News Releases (or click here). You can also click here for the construction project updates and local traffic alerts. 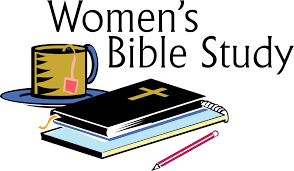 A women's bible study will be held in the Clubhouse at noon on Tuesdays (please check the calendar for updates if you are interested in attending). This bible study is open to all women within the Hampton Woods and Hampton Ridge communities. Please email any questions to Dollie at dpdavis1227@gmail.com.